Based in the Southern Rhône, Rasteau produces wine with richness and deep flavours. 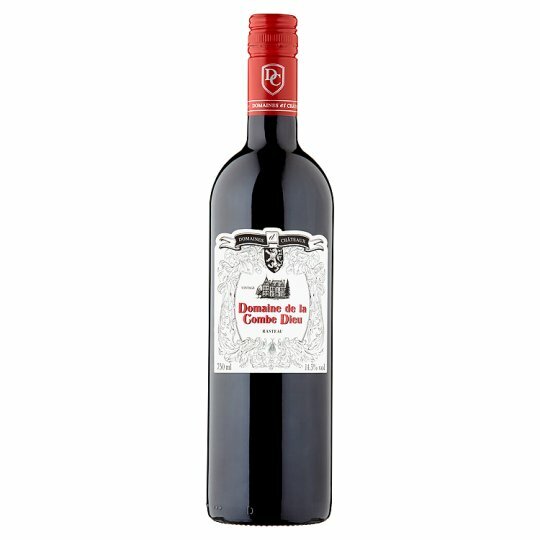 This wine gives strong blackberry and dark plum flavours, combined with typical Rhône flavours of spice and black pepper. A big, juicy and fruit-driven wine to be enjoyed with lamb or meat stews. Domaines et Châteaux is a collection of exclusive and sought after wines, each crafted in a domaine or château in France. These carefully selected wines are rare and fine and epitomise the French tradition, showcasing the diversity of its terroirs. The vineyard is located on the clay-limestone hillsides of the Rasteau plateau. Traditional winemaking methods are used in this family run estate. The long fermentation allows for all the natural flavours of the grapes to be gently extracted, giving a full body and complexity to the final wine. Domaines et Châteaux offers a changing selection of premium wine which have been carefully selected to epitomise the French tradition, showcasing the diversity of its regions and the talent of its winemakers. Hunting through the vineyards of France to select small parcels of great wines, Domaines et Châteaux will take you on a journey of discovery. Enjoy these limited-edition parcels while they last and look out for the next release under the Domaines et Châteaux label. Domaine de la Combe Dieu takes its name from the local area and has been part of the Saurel family for 3 generations with 50 ha of vines in the Rasteau plateau situated in the ancient Rhone valley winemaking region.